"We never wanted to change the fundamentals of the band; it’s a band called Warbringer, so it’s going to kick your arse - that`s a guarantee!" - John Kevill. 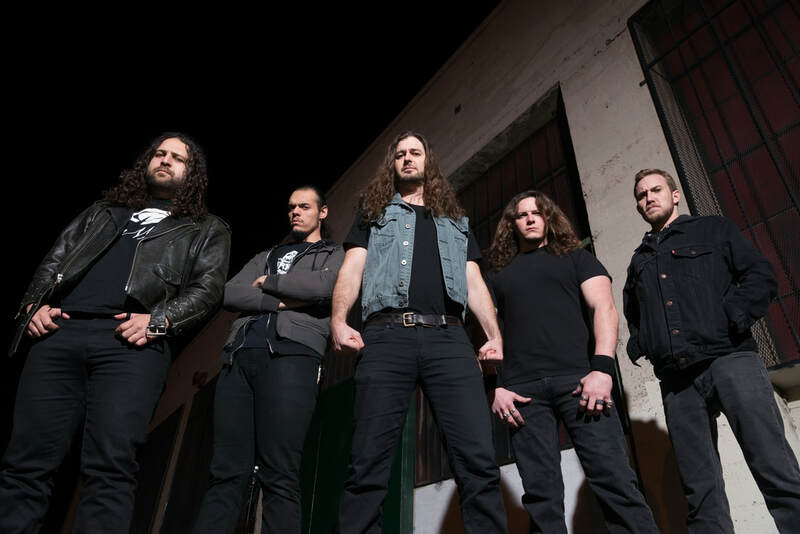 Formed in 2004, Warbringer are marauding American thrash metallers. Five albums into a career that has seen recent release ‘Woe To The Vanquished’ garner some of their best reviews yet, the five piece show no signs of slowing down. 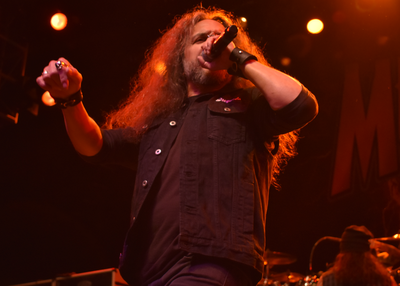 On tour with Death Angel, we caught up with front man John Kevill for a chat about the band’s roots, touring, and what a money-no-object Warbringer stage show might look like. Walking into nightmares; Rob Watkins. ​Hi John, let’s start by delving back to 2004 and the start of Warbringer. I got into heavy metal and I wanted to start a band. I found some musicians such as [guitarist] John Laux and [drummer] Adam Carroll, we began writing songs, and we got an offer from Century Media Records. That kicked us into high gear, and we then toured the world, put out records and we played more shows than any band I’ve heard of. So the band worked hard from the start? We did like, 250 - 300 shows a year for repeated years. This cost us a lot of members over time, but kept the records going until the fourth one [ 2013’s ‘IV: Empires Collapse’], for which we then saw a creative evolution. There was a lot of death metal and black metal and prog that crept into all the brutal thrashing. But then the band collapsed for a while. Did you think that that might be the end of the band? No, I stuck around and revived it with Adam Carroll, myself, and drummer Carlos Cruz as the core. 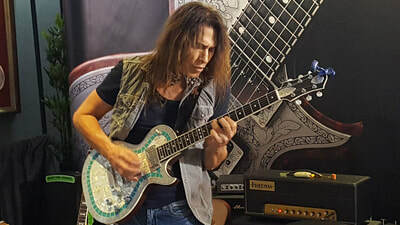 We were joined by an excellent guitar player called Chase Becker, and an excellent bass player by the name of Jessie Sanchez to complete what is the strongest line up to date. We’ve also made our strongest album to date in ‘Woe To The Vanquished’. How would you sum up the Warbinger sound? As extreme thrash metal, with a serious take on it. We try to be really vicious, but maintain melodic elements as well as some catchiness in the songs, and some real song writing. It’s not just parts and riffs; we try to fire on ten in every department. How has the recording process changed since your debut ‘War Without End’ in 2008? Well that’s a long answer, if I was to really explain it, but in short the band got way tighter on its instruments. On our first record, we had no experience whatsoever. We then played like around 1,200 shows, and if you don’t learn from that, then you’re doing something wrong. We never wanted to change the fundamentals of the band; it’s a band called Warbringer, so it’s going to kick your arse - that's a guarantee! Would you say that the band’s sound has stayed largely the same throughout your career? Apart from that we’ve wanted to evolve and crystallise our own sound, but you can tell us apart from our influences and our contemporaries. The elements that are distinctly Warbringer have become further brought to the fore, and it was there on the first record lurking with all our influences as well. That’s the difference between an amateur band starting out, and what we can do with some time and real hard work. Are you happier on the road, or in the studio? Usually in the studio, because it’s fun to see the songs get created and come to life. On the road, I mean, I love live shows, but sometimes it can be a real grind. Like today as an instance; we woke up 7.30 am, then we had eight hours in the van, and then we’ll pretty much fall asleep straight after the concert. What inspired you to start a band in the first place? Basically, I heard rock and roll in my mid-teens, and that led me into heavy metal with bands like Black Sabbath and Iron Maiden, and all that. Of course I saw Maiden once, I saw Metal Church, I saw Vader, and I thought; “I have to be in a band to do what those guys are doing”. I had no musical background, but I just had to make it happen, and everything got built from the ground up. You're currently on tour with Death Angel; how's that been going? This leg is going great. The whole tour in fact, is going great. I mean, Death Angel are really cool guys. We also toured with Suicidal Angels from Greece for some time. That’s a lot of Angels; we should have got some dates with Dark Angel too I guess! Yeah, but they’ve been really great shows with great audiences, and the band is playing well. What does the future hold for Warbringer? We're going to keep doing what we do and try and improve; make better records, do a better live show than we did the day before. To me, that’s what true metal means; you always give for the audience, the music and everything you have, and we'll accept nothing less, ever. We’re going to keep doing that, and we’re going to put out another record in a year and a half maybe two years’ time. So there’ll be more tours, and we hope to be back on this side of the Atlantic next summer. Finally, if you were putting on your own festival, which other bands – functioning or not, dead or alive – would play alongside Warbringer? Black Sabbath for certain, Thin Lizzy certainly with Phil Lynott of course, Dio. I mean, I never saw Dio, so the last slot would be Dio fronting Black Sabbath. Ronnie James Dio is one of my all-time favourite lyricists, so he'd get two slots on there, as technically they’re two different bands really. What would be on the rider? If money was no object? Well, in that case a bitchin' Porsche, sweet custom guitars, and a functioning Tiger Tank! I’d come on stage in the tank and jump out of the top and do a high pitched scream to open the show. 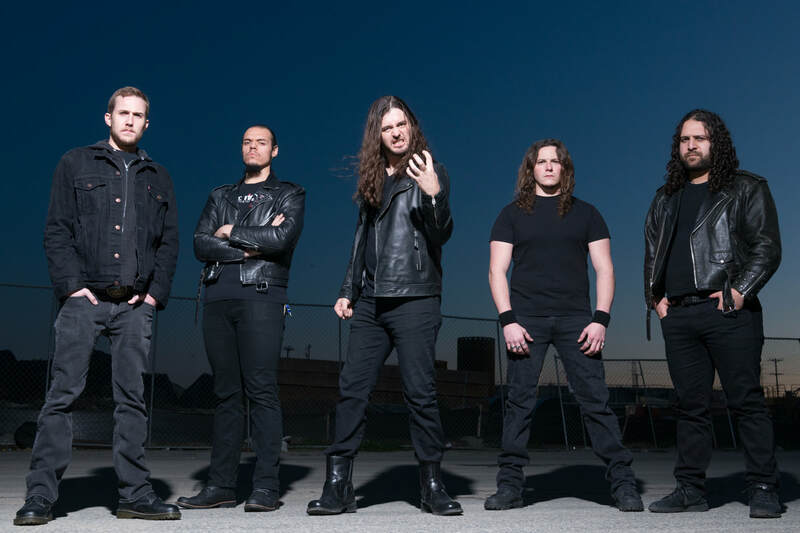 Warbringer's 'Woe To The Vanquished' is out now, via Napalm Records. Death Angel, Warbringer & Sodomized Cadaver Thrash In South Wales. 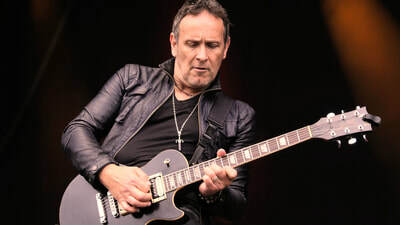 INTERVIEW: Vivian Campbell Chats Leppard, Last In Line & The Dio Hologram.